Vous êtes ici : Home / CLIP ‘N CLIMB UK owners come together for annual meeting! A look back at the 5th annual CLIP ‘N CLIMB meeting, where more than 50 owners networked and learned about the new challenges and support from the brand. 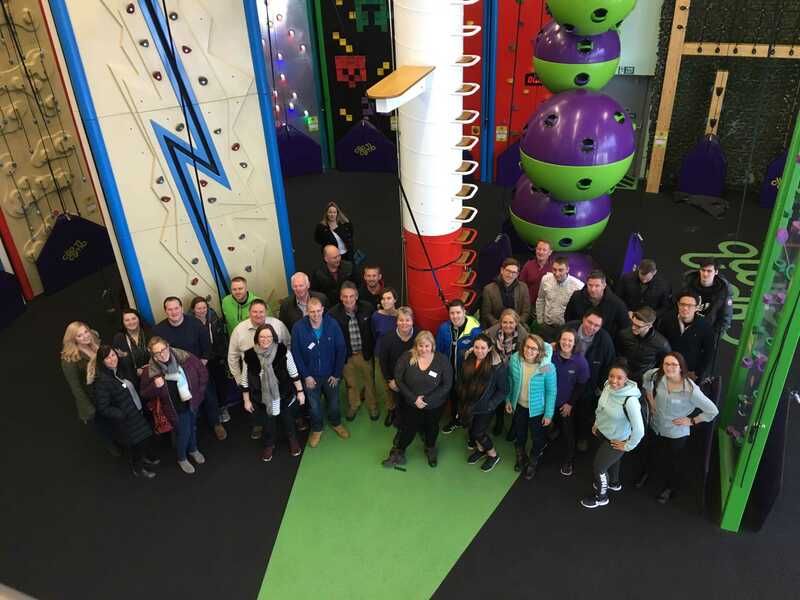 The fifth annual UK CLIP ‘N CLIMB owners meeting was a great success, with more than 50 owners meeting in Nottingham to discover more about Clip ‘n Climb’s bright and colourful future, and their involvement within it. The CLIP ‘N CLIMB family braved the frosty elements on March 1st to make the two-day meeting, and shared experiences, networked, and previewed exciting new equipment and support from the CLIP ‘N CLIMB brand. A very warm thank you to CLIP ‘N CLIMB Nottingham for hosting us on the second day, showing us their amazing centre, and hosting lunch too! We look forward to next year for another insightful conference, filled with helpful advice for owners and a look at the exciting CLIP ‘N CLIMB journey ahead. If you’re looking to expand your indoor or outdoor facility with exciting, fun challenges fit for everybody, then get in touch with us for a quote.